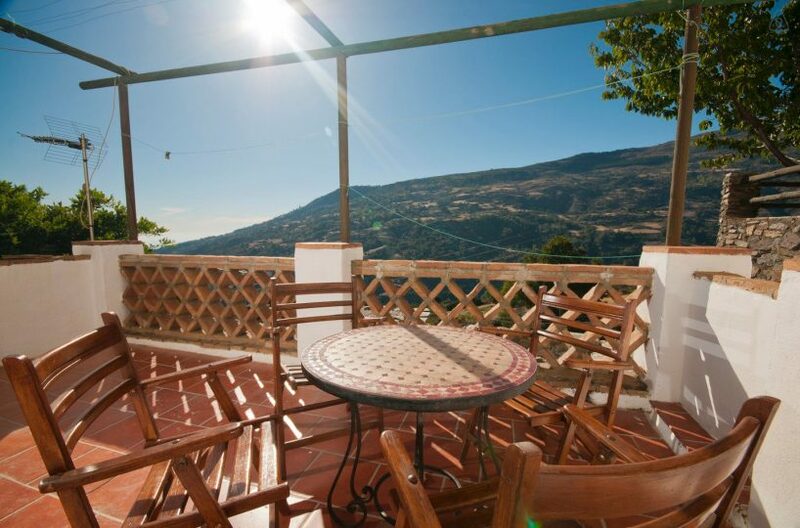 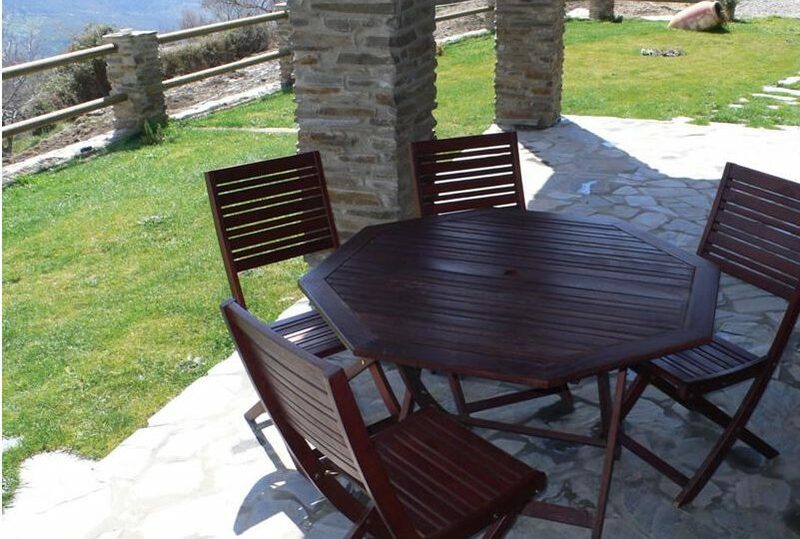 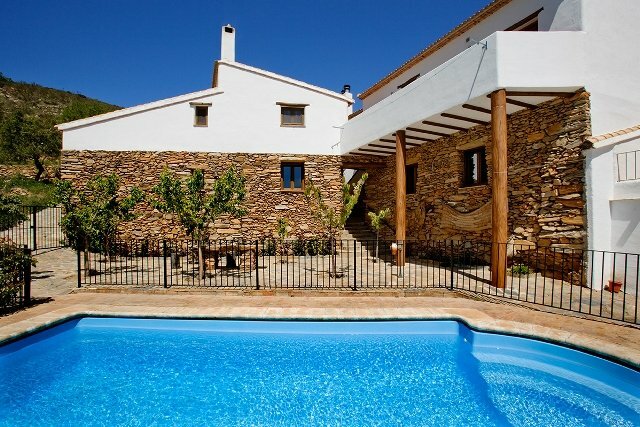 The holiday rental villa Casa Launa is located in the tranquil village of Pitres in the Alpujarras, in the province Granada. 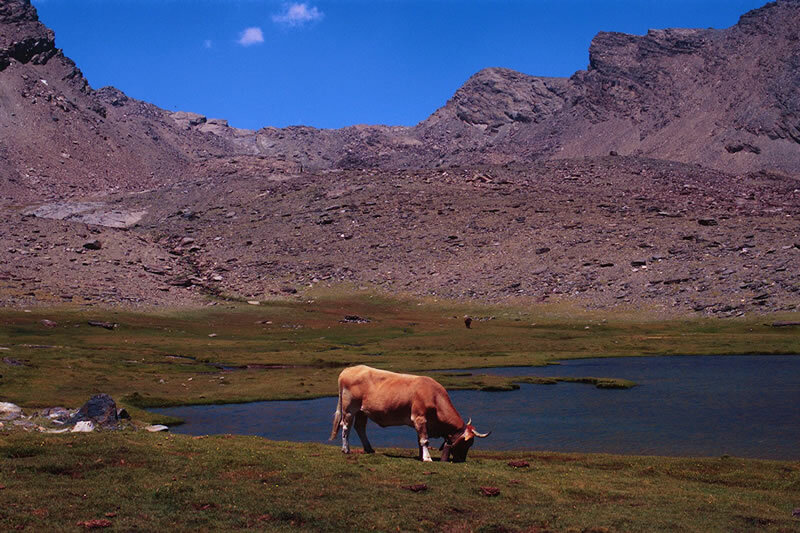 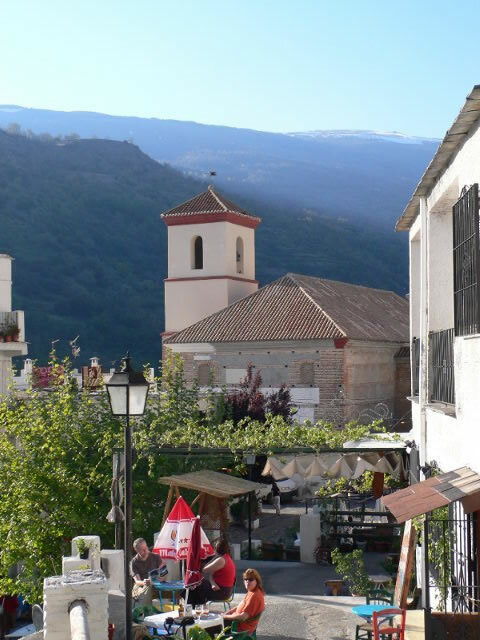 Pitres is situated on the south flank of the Sierra Nevada mountain range. 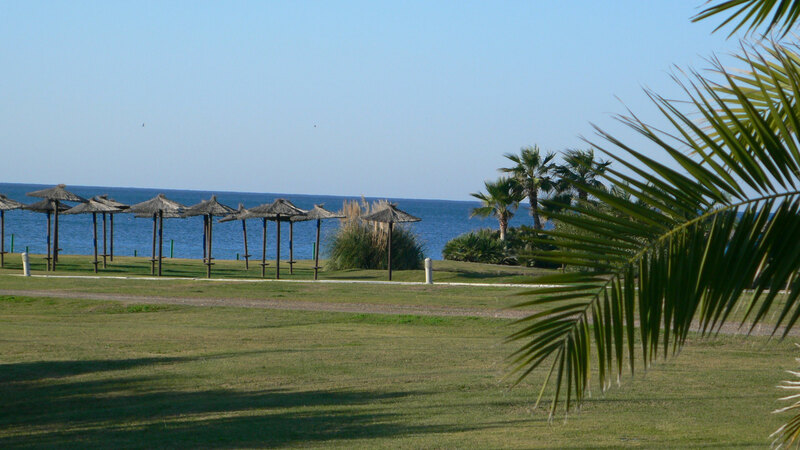 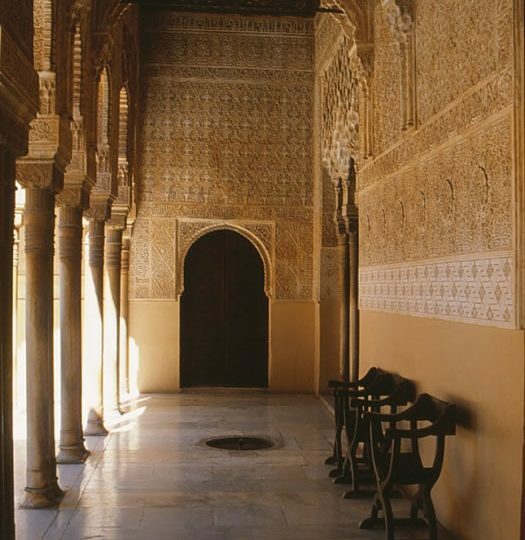 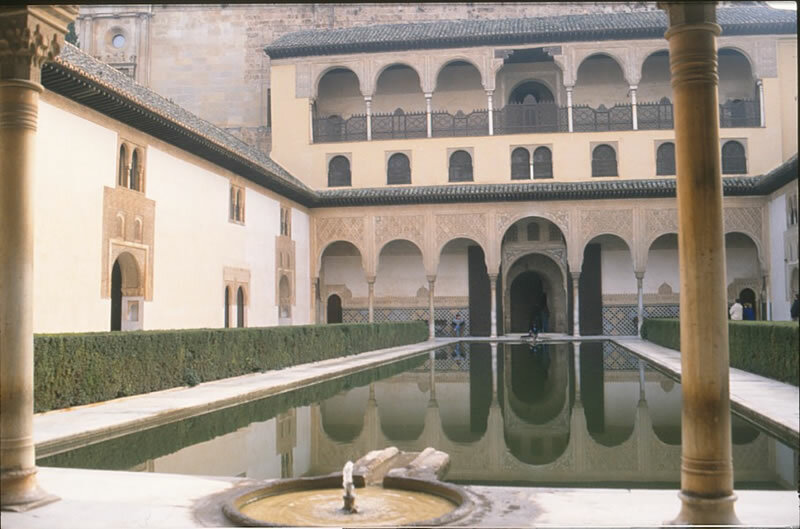 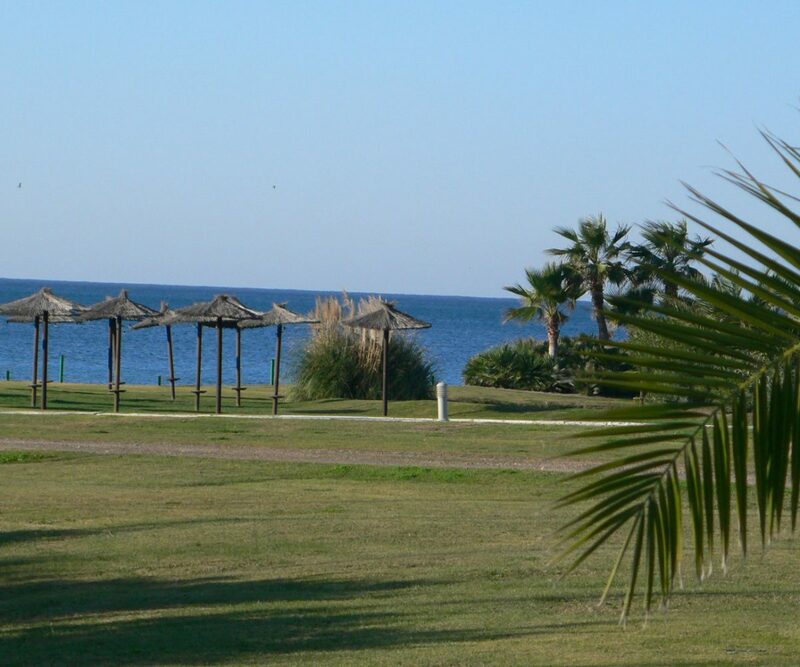 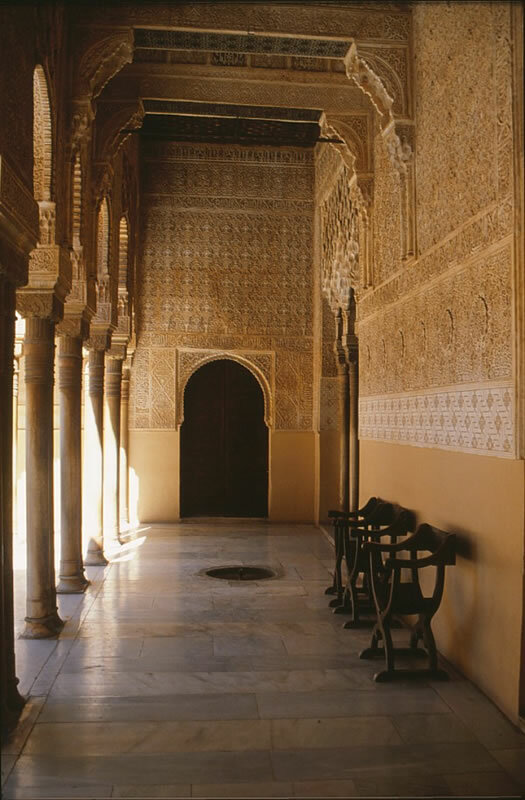 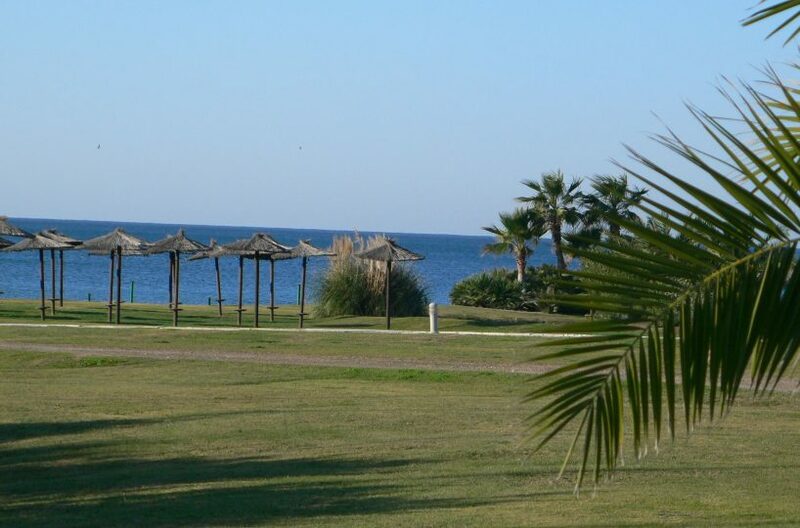 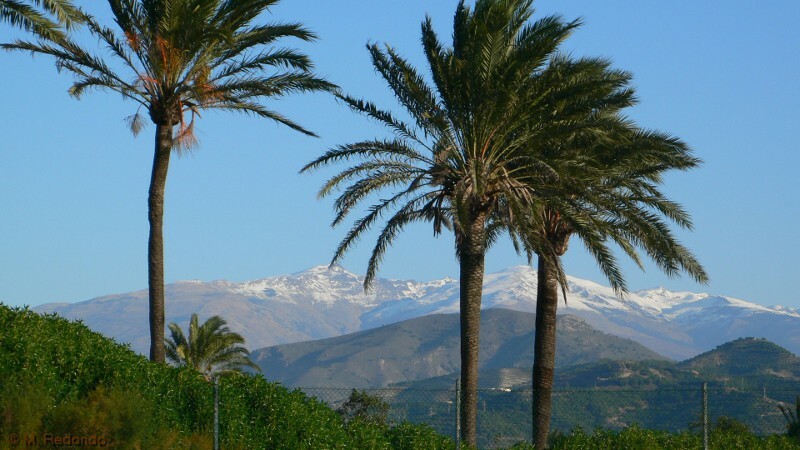 The distance to Granada city is 75km and the mediterranean sea 50 km. 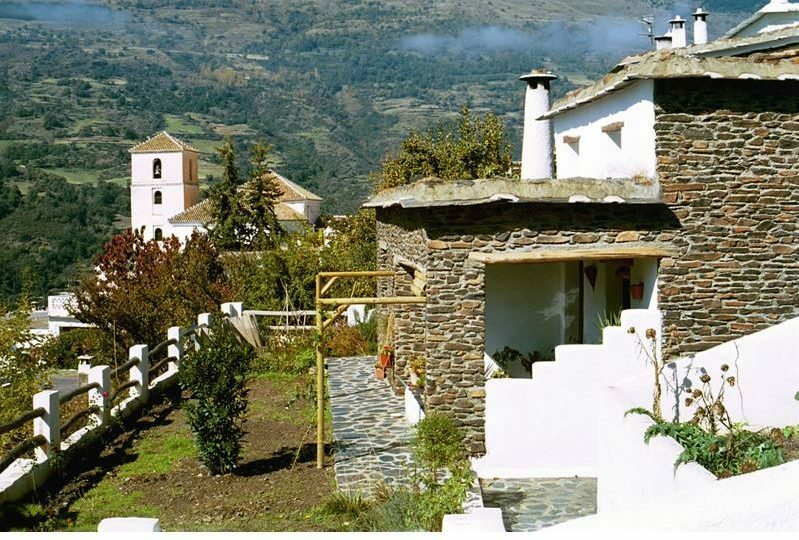 You can walk to the villages of Capilerilla, Ferreirola, Atalbeitar, Mecina and Fondales, gems of old moorish hamlets with loads of charm. 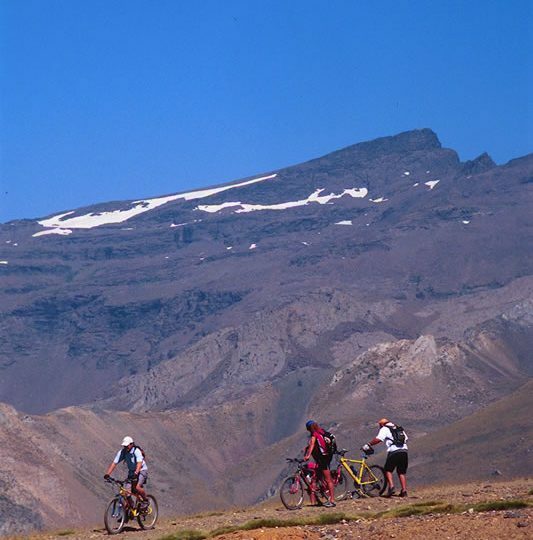 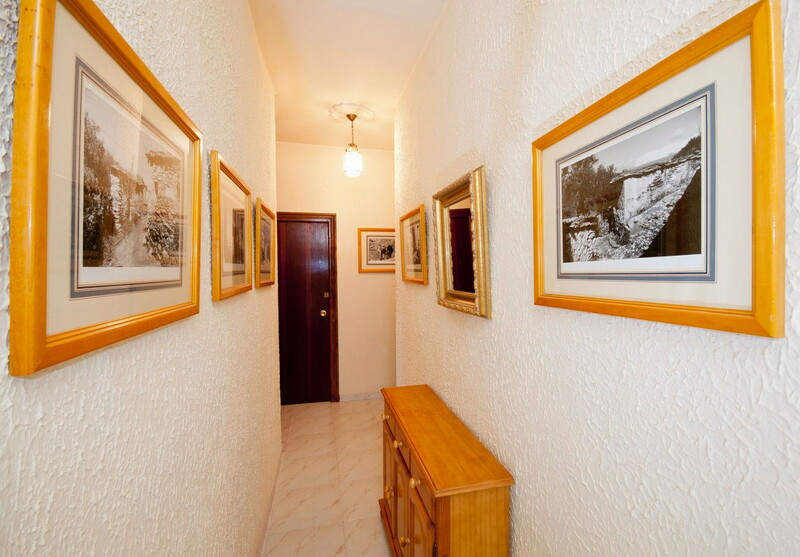 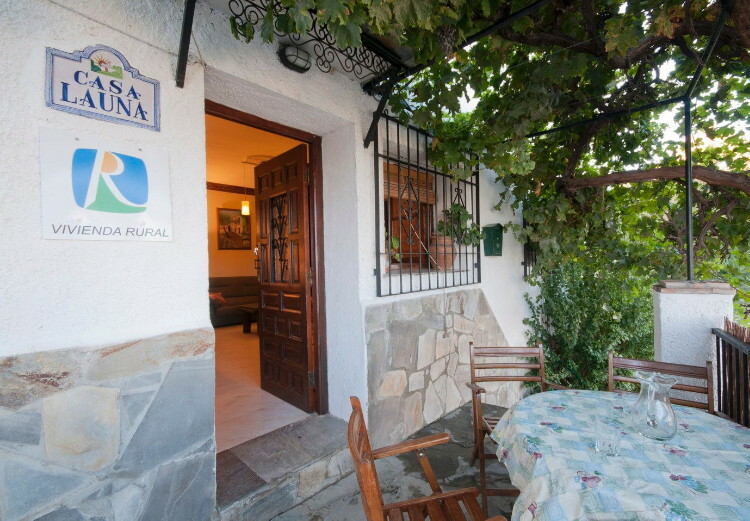 Casa Launa is also ideal for discovering the Sierra Nevada National Park. 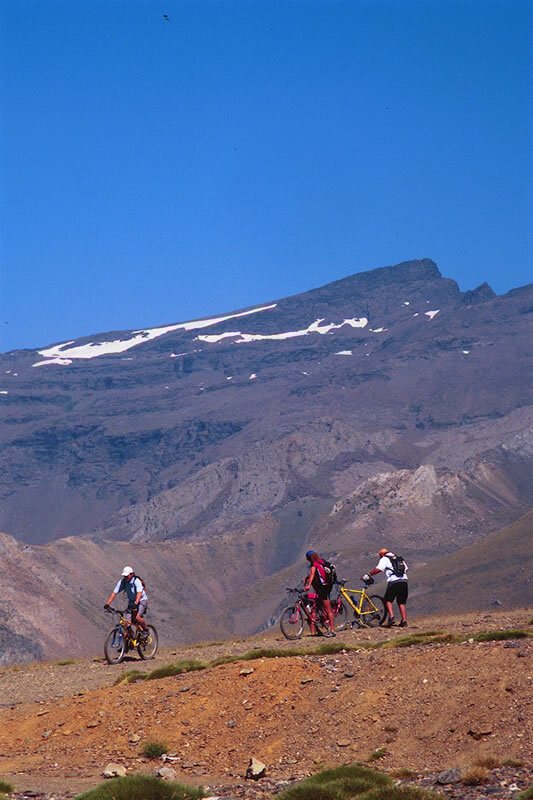 You can go to the high peaks of the Sierra Nevada, Mulhacen at 3482m and Veleta at 3362m or stay a little lower and study the intricate system of watercanals the moors manufactured in the 13th century. 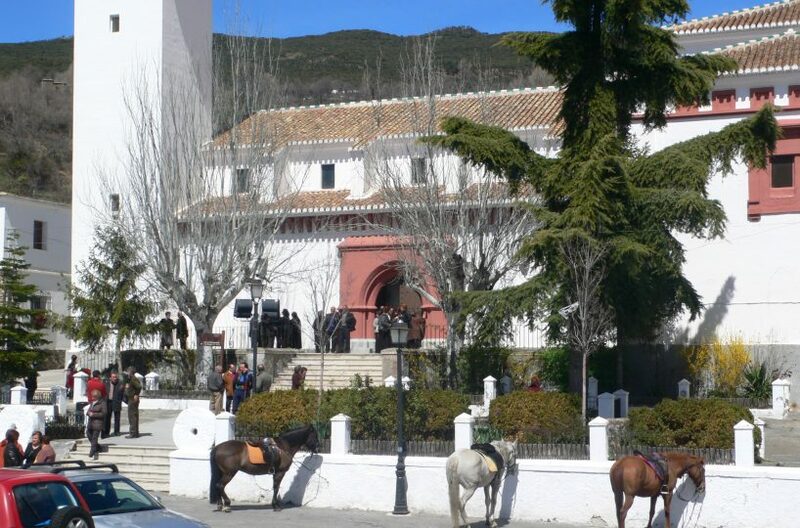 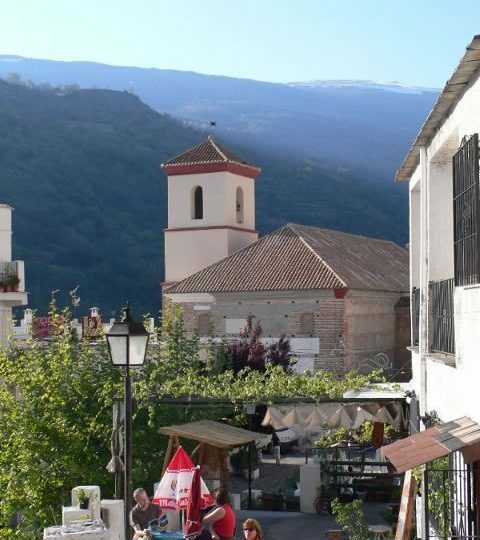 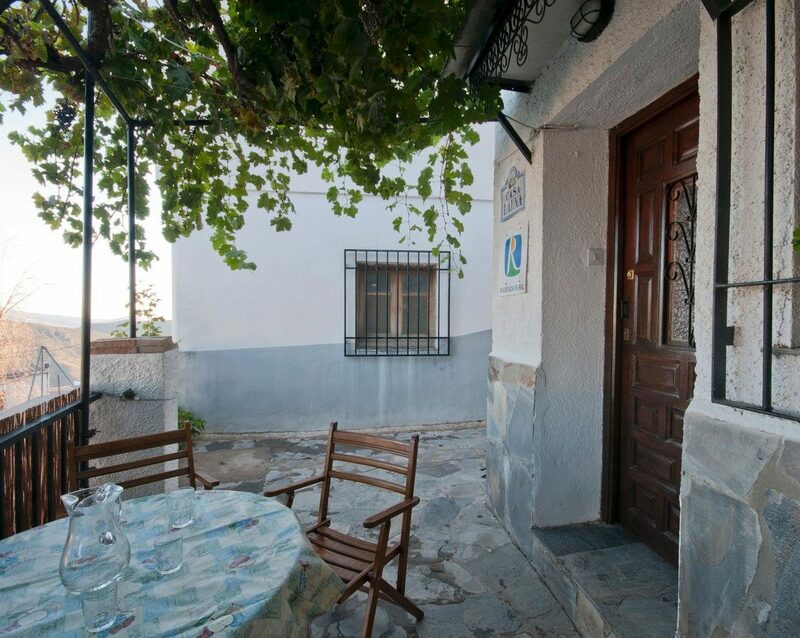 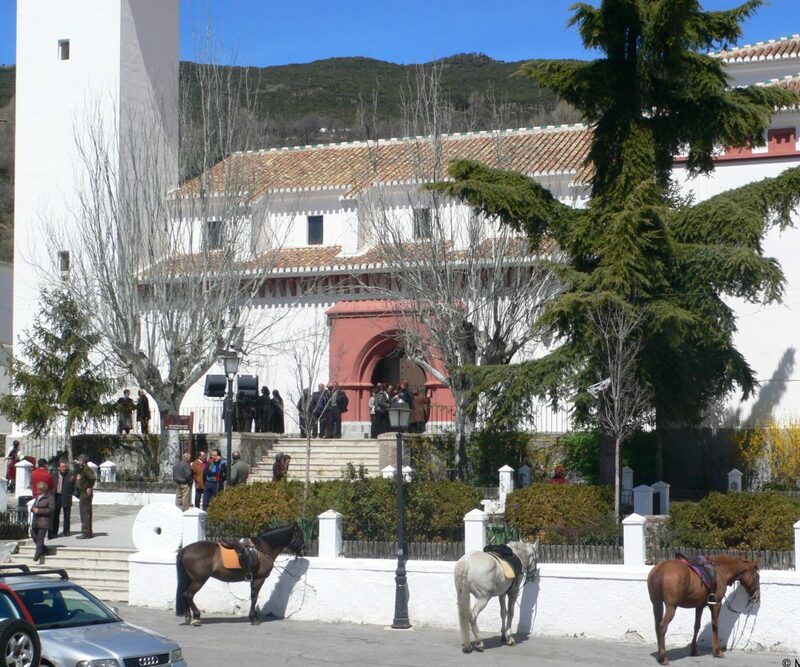 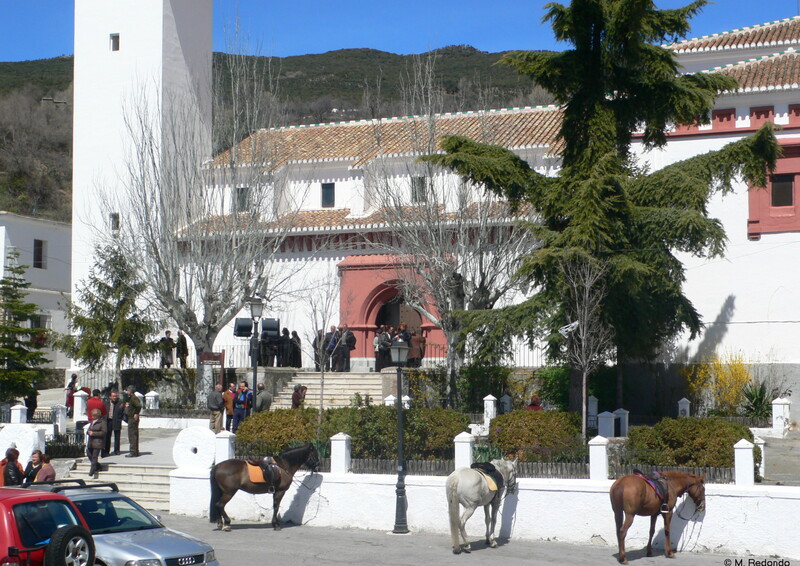 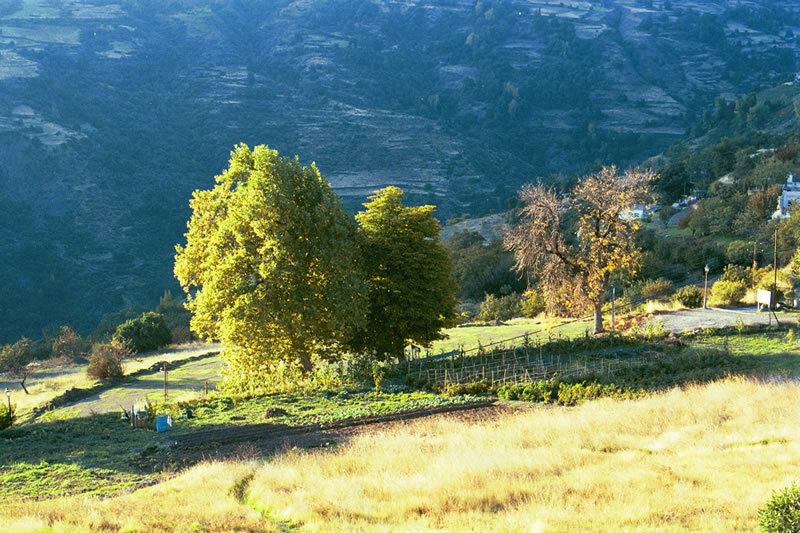 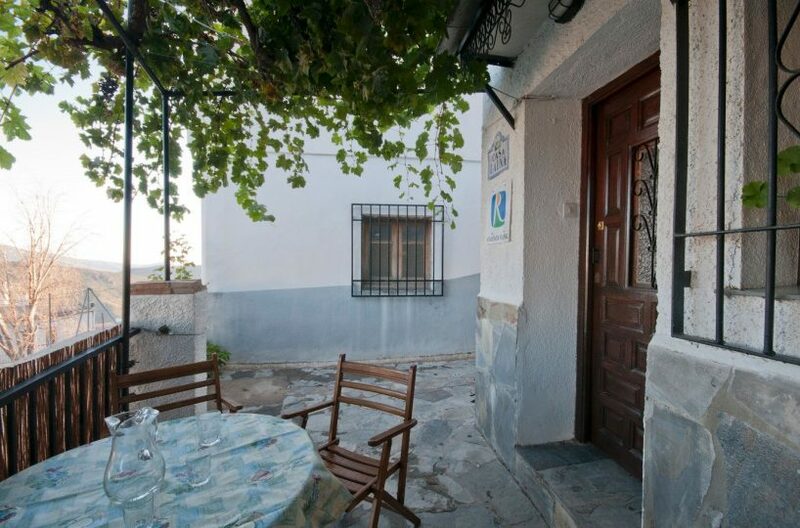 It is also an ideal place for relaxing and for discovering the Alpujarras, this beautiful region of Andalucia. 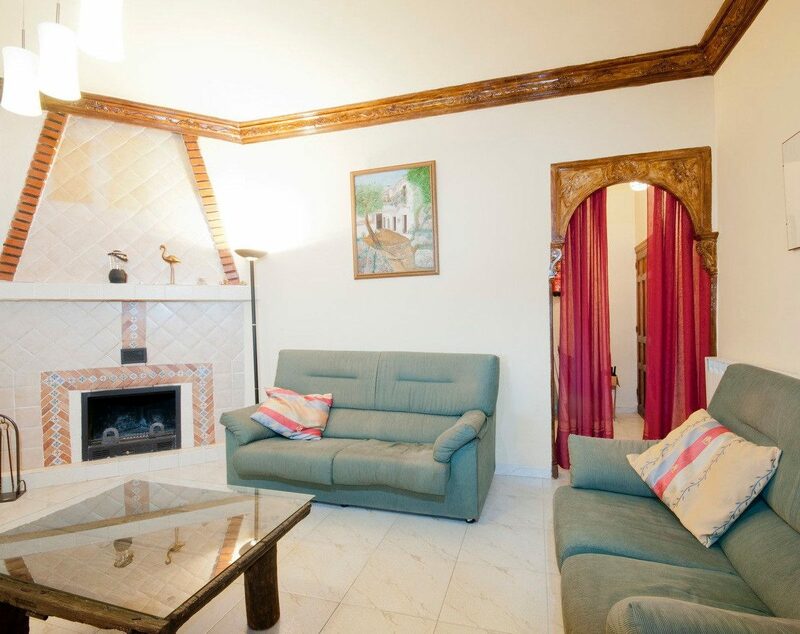 Casa Launa is situated in a new neigbourhood of Pitres. 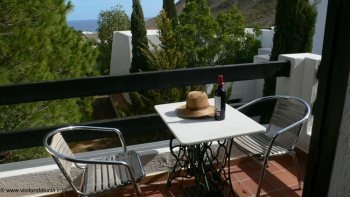 From the house, the garden and the terrace you have nice views of the surrounding mountains, the village and sports pitch. 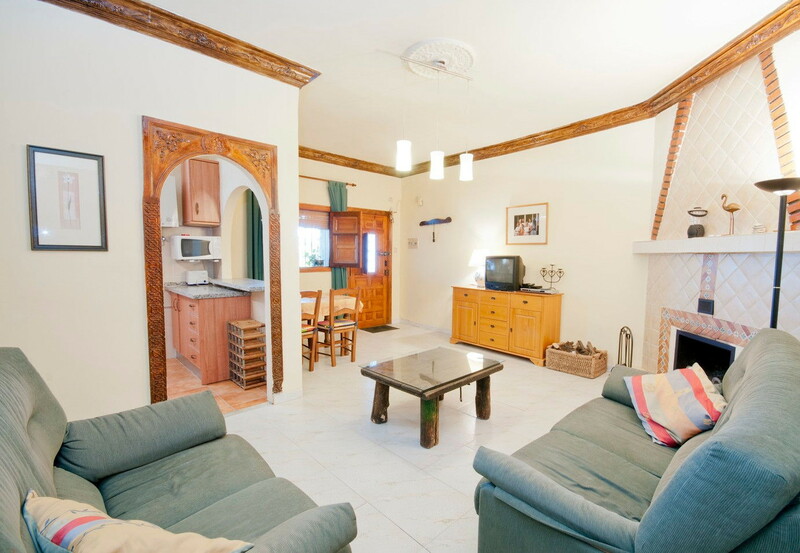 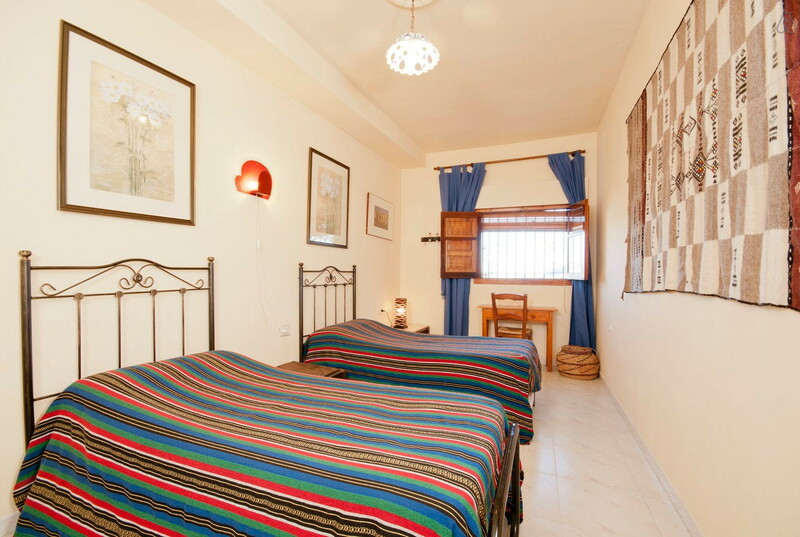 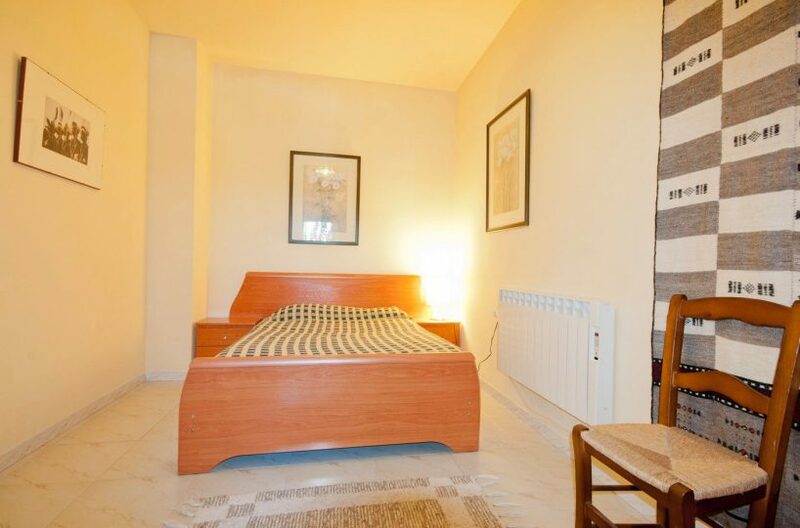 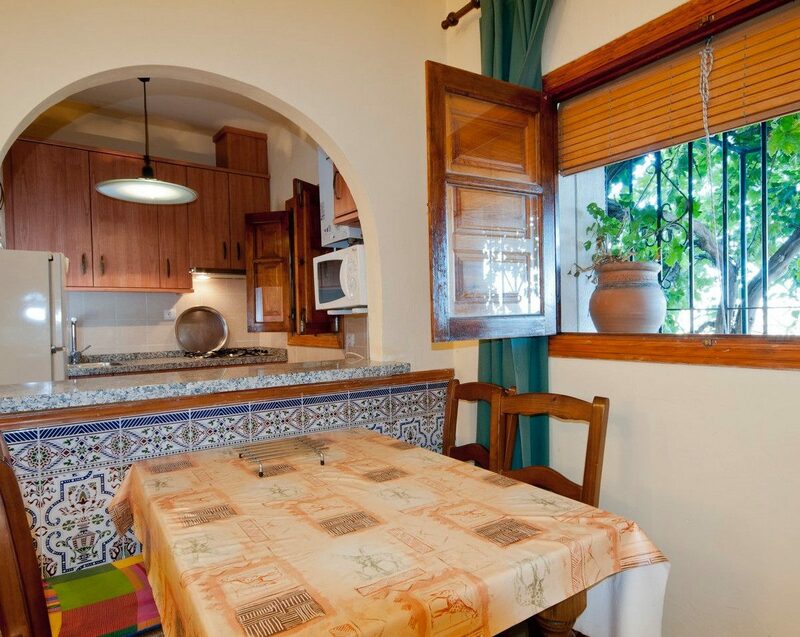 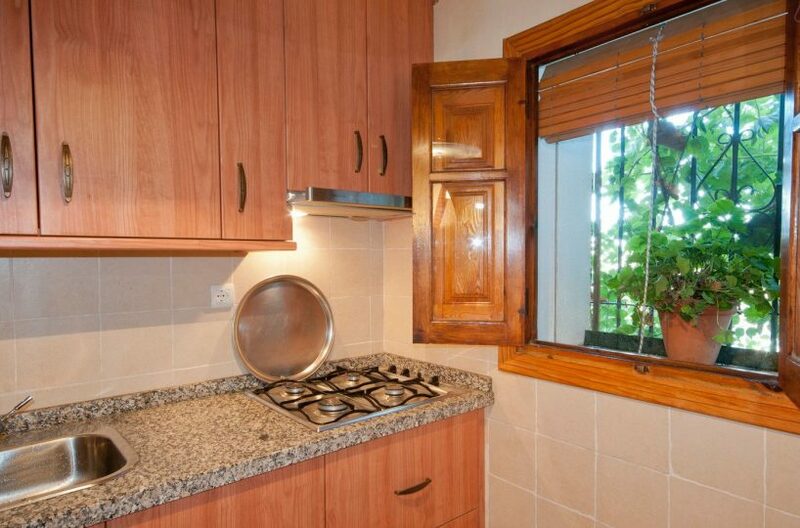 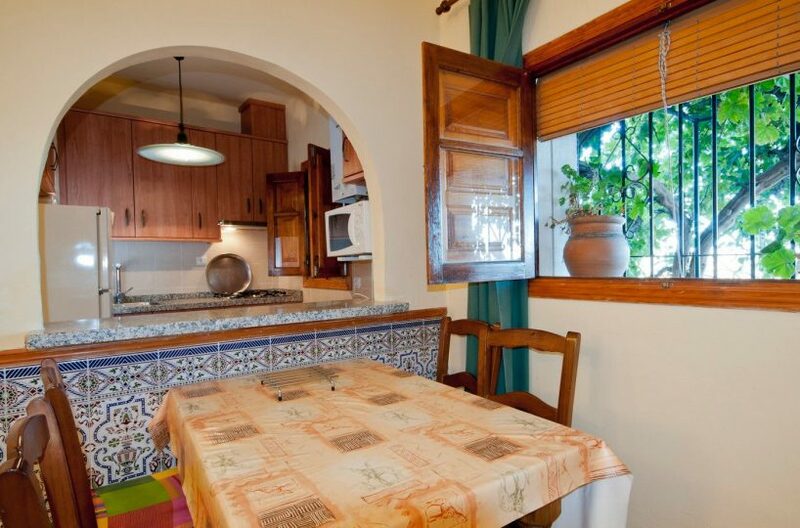 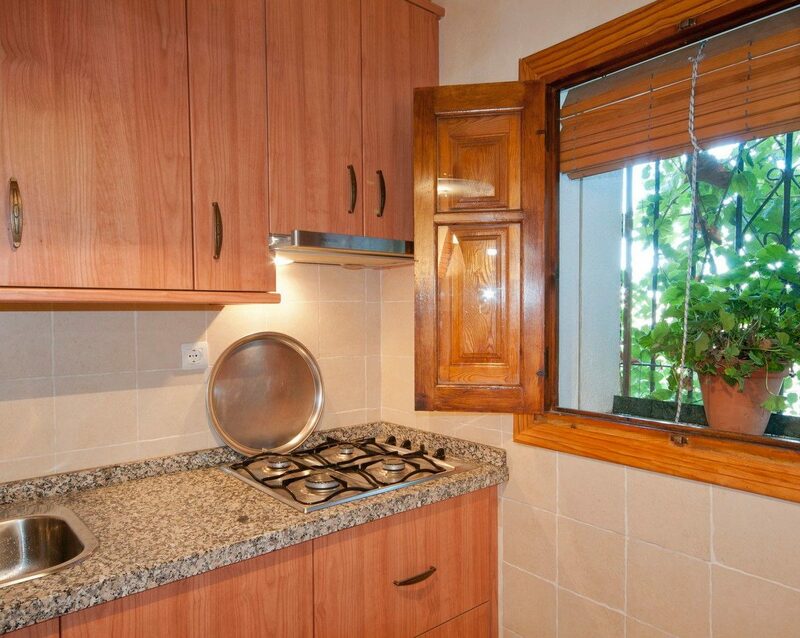 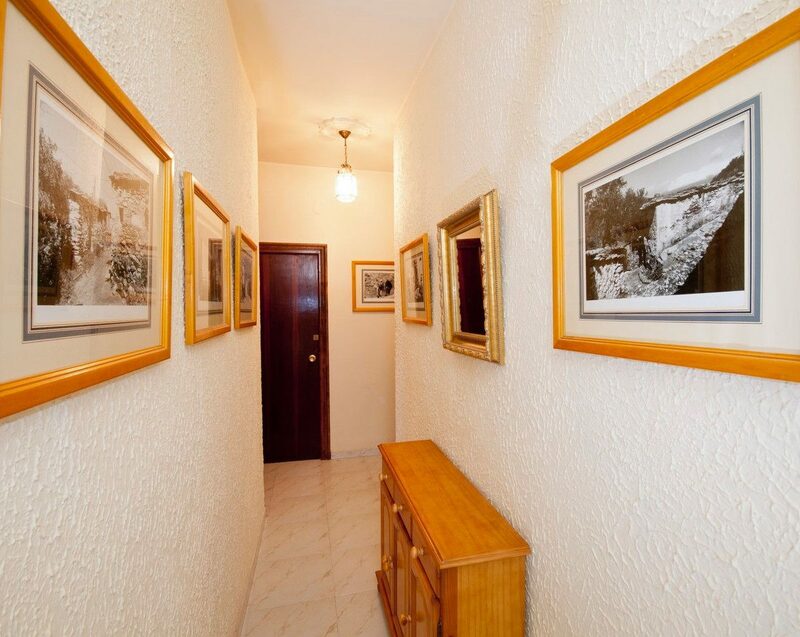 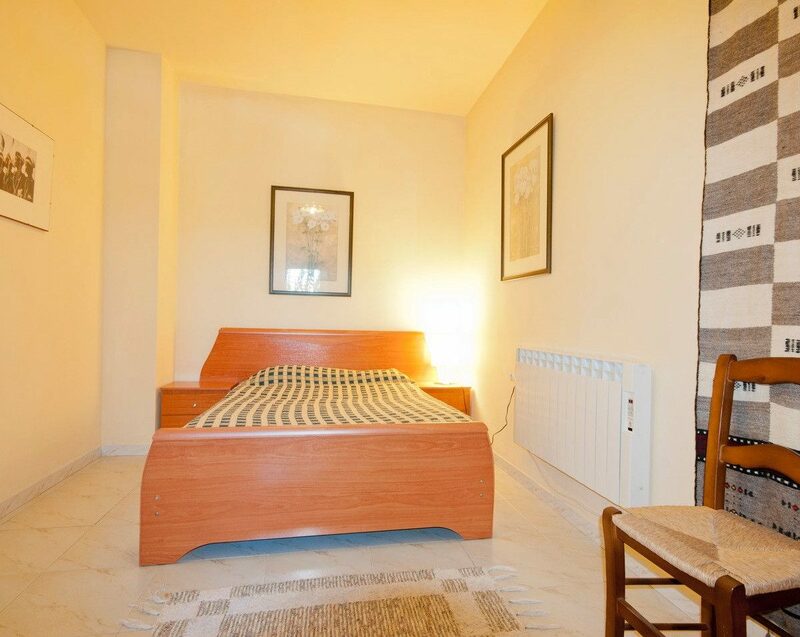 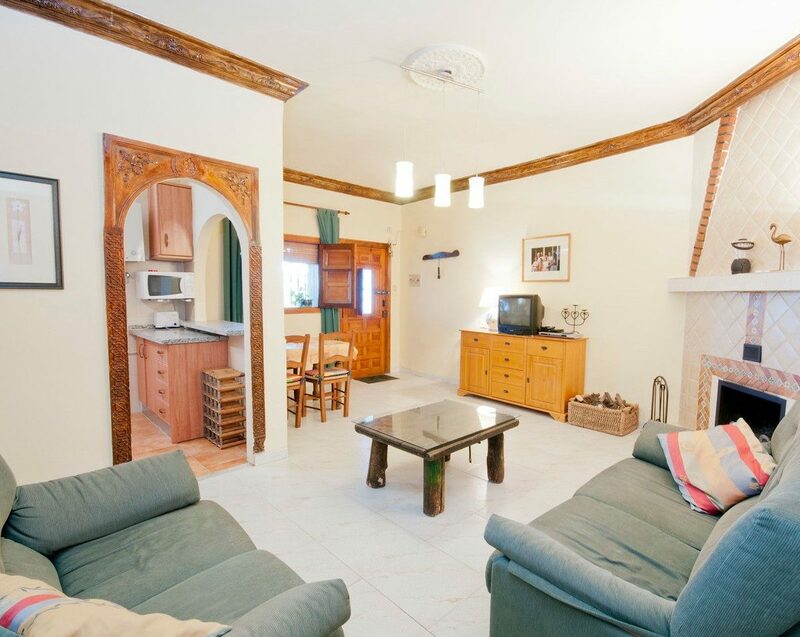 Casa Launa is located on the ground floor of a three storey building and has a big livingroom, an American kitchen, two bedrooms and a bathroom. 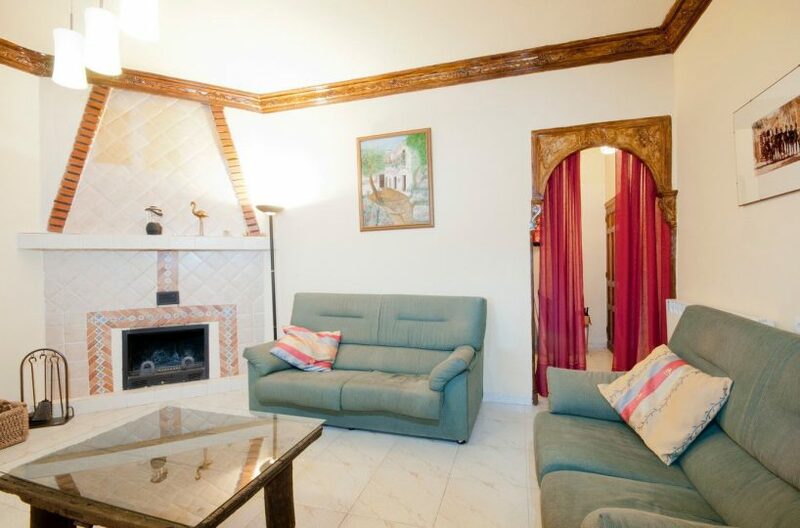 There is a open fireplace in the livingroom and electric radiators in the wintermonths. 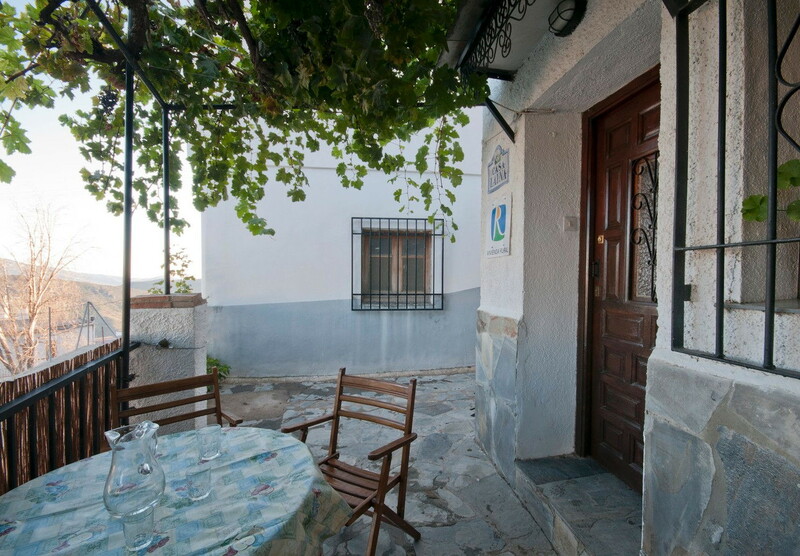 At the front of the house there is a terrace, covered by a vine in summer, where you can enjoy your breakfast and a small garden that faces south-east. 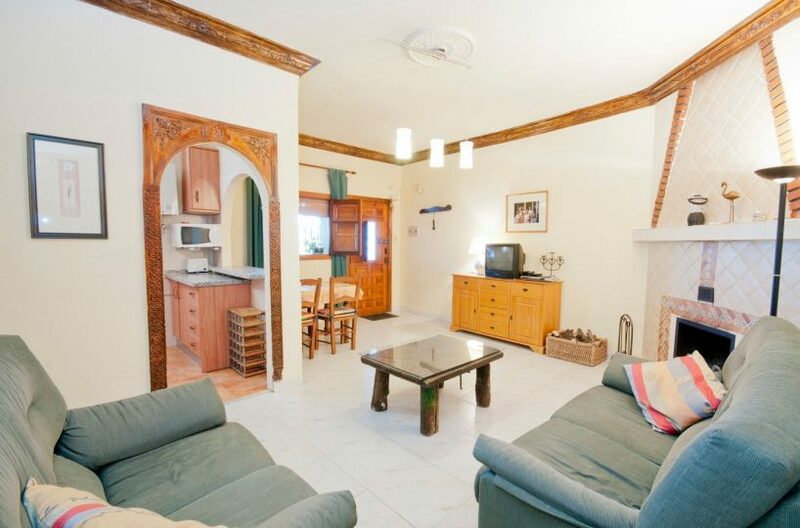 You can also rent this house for a month. We’ll be happy to inform you of the rates. 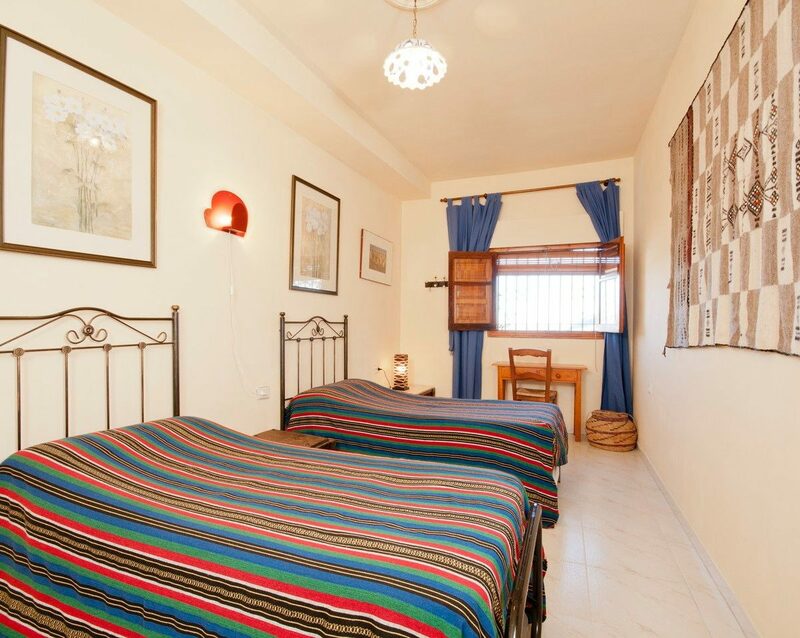 Price per day from 80 €, minimum stay 2 nights.